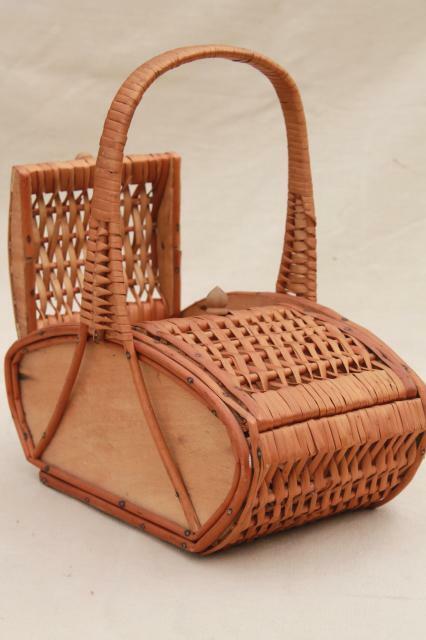 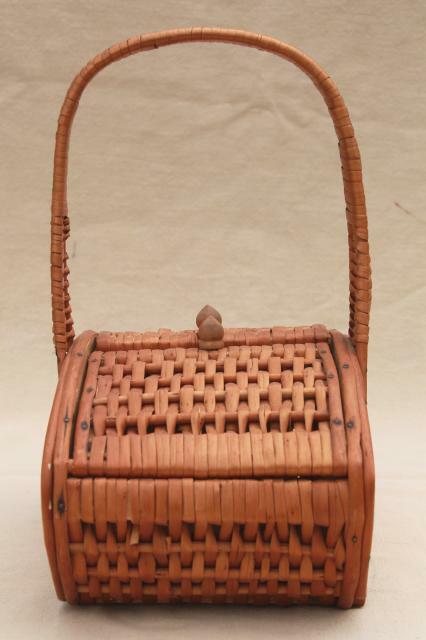 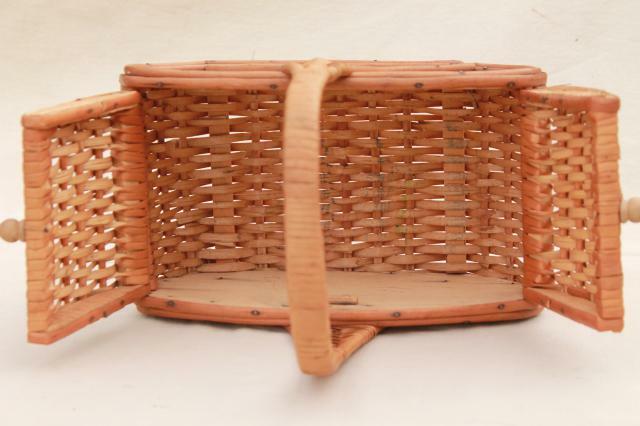 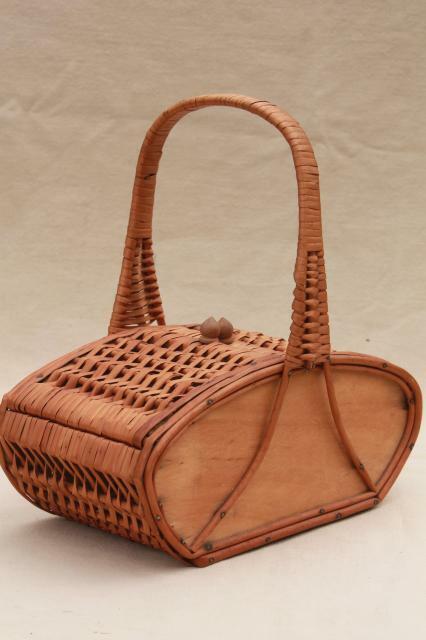 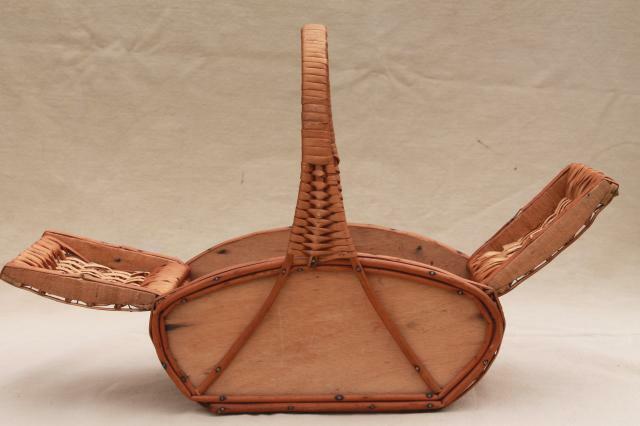 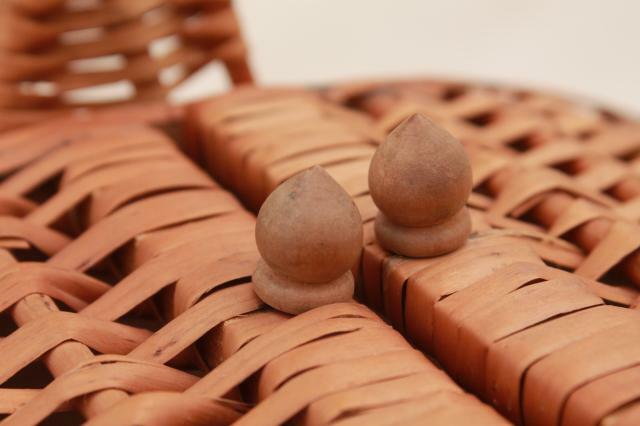 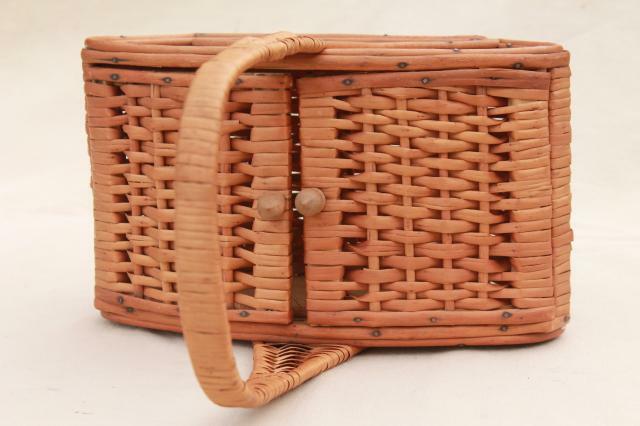 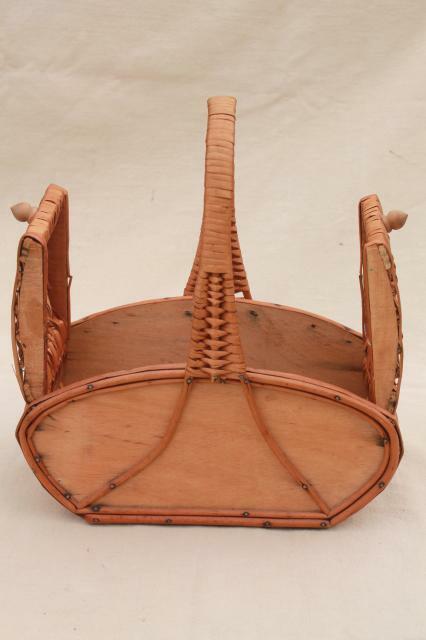 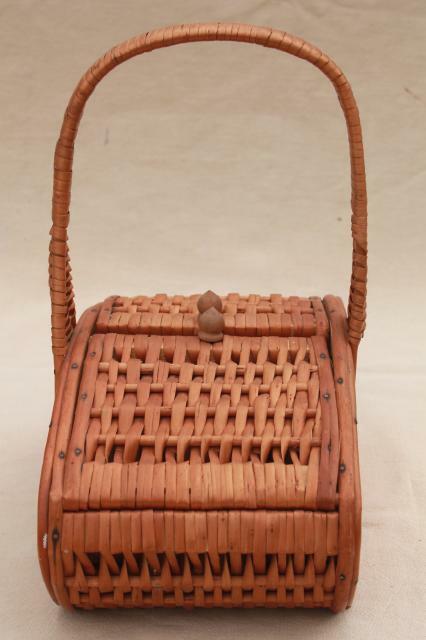 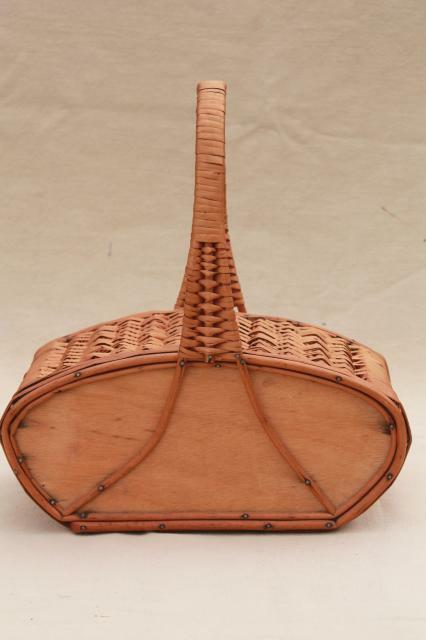 60s vintage sewing basket, bamboo, rattan and wood. 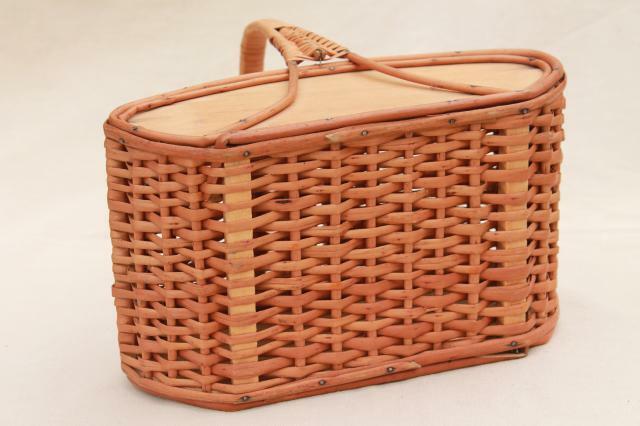 This has a sturdy handle and hinged lid... you could use it for a one person picnic lunchbox! 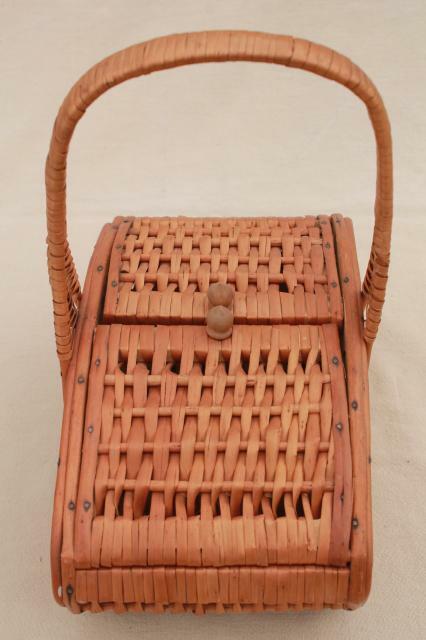 It's 10" x 6" x about 11" tall at the top of the the handle, in good condition and clean inside and out.